Between 1911 and 1922, a series of wars would engulf the Ottoman Empire and its successor states, in which the central conflict, of course, is World War I—a story we think we know well. As Sean McMeekin shows us in this revelatory new history of what he calls the “war of the Ottoman succession,” we know far less than we think. The Ottoman Endgame brings to light the entire strategic narrative that led to an unstable new order in the postwar Middle East—much of which is still felt today. The Ottoman Endgame: War, Revolution, and the Making of the Modern Middle East draws from McMeekin’s years of groundbreaking research in newly-opened Ottoman and Russian archives. With great storytelling flair, McMeekin makes new the epic stories we know from the Ottoman front, from Gallipoli to the exploits of Lawrence in Arabia, and introduces a vast range of new stories to western readers. His revelatory accounts of the lead-up to World War I and the Ottoman empire’s central role in the war itself offers an entirely new and deeper vision of the conflict. Harnessing not only Ottoman and Russian but also British, German, French, American and Austro-Hungarian sources, the result is a truly groundbreaking work of scholarship that gives full justice to a multi-tiered war involving many belligerents. McMeekin also brilliantly reconceives our inherited Anglo-French understanding of the war’s outcome. The book chronicles the emergence of modern Turkey and the carve-up of the rest of the Ottoman Empire as it has never been told before, offering a new perspective on such issues as the ethno-religious bloodletting and forced population transfers which attended the break-up of empire, the Balfour Declaration, the toppling of the caliphate, and the partition of Iraq and Syria—bringing the contemporary consequences into clear focus. "A well-timed, well-researched exploration of the empire whose dissolution continues to complicate making sense of the contemporary Middle East. Herein are explanations of how modern Turkey, Iraq, and Syria came to be, as well as how the division of the rest of the region affected its future. Scholars and practitioners alike will benefit from reading it." "Where conventional histories of World War One focus on the trench warfare in the West, Sean McMeekin, combining ground breaking archival research with a genius for historical narrative, tells the story of the war in the East. From the Bolshevik Revolution to the Armenian Genocide, McMeekin weaves the dramatic and world shaking events of one of history’s greatest conflicts into a compelling and original story. As characters like Leon Trotsky, Kemal Ataturk and Winston Churchill stride — or in some cases, slink — across these pages, readers will see some of history’s most important events from a fresh perspective. There are many histories of World War One; few are as important or as readable as this one." 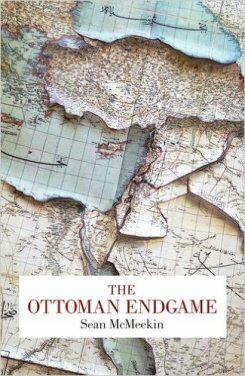 "Sean McMeekin’s The Ottoman Endgame pleases like a mouthful of Turkish delight, the flavors, scents and views of the old empire combining in a gripping new history that plunges the Turkish Empire into the Great War and locates Constantinople not at the edge of the conflict but at its very heart. McMeekin pulls all of the familiar but disconnected threads together in a stunningly original way: the Young Turks, the Balkan Wars, the German alliance, Gallipoli, Iraq, the vast, forgotten battles with the Russians in the snowy Caucasus, the Armenian genocide, the naval struggle on the Black Sea, and the frothy legend of Lawrence of Arabia. The crucial influence of these far-reaching Turkish campaigns on World War I and its aftermath emerges in McMeekin’s wry, delightful book, which fills in a neglected face of the war and traces the emergence of the modern Middle East." "A real feat of historical scholarship, offering genuinely new interpretations and fresh insights into the origins of the modern Middle East." "McMeekin synthesizes an impressive amount of fresh material from across Europe’s archives in this balanced and perceptive analysis of the twelve-year War of Ottoman Succession, between 1911, and 1923, that ended an empire after six centuries; redrew the map and reshaped the culture of the Middle East; and almost tangentially played a crucial role in the outbreak of World War I and the peace that—temporarily—concluded it." "Sean McMeekin has an infernal panorama to describe, as, over twelve years, the Ottoman Empire fell apart, giving us problems that have gone on to this day. The subject has found a writer with all the linguistic and scholarly qualifications to do it justice." "A tour de force. Using an unprecedented array of new sources—German, Russian, Turkish, French and British—Sean McMeekin not only describes a key aspect of the First World War but also provides a key to the tragedy of the Middle East today." "A sweeping account…The most original and passionately written parts concern the fight between Russians and Turks in eastern Anatolia and the Caucasus. Two things distinguish Mr. McMeekin from many other writers in English about this period. First, he has a deep empathy with Turkish concerns, and he hews closer to the official Turkish line than to the revisionist, self-critical approach taken by some courageous Turkish liberals. Second, he has some unusual insights into imperial Russian thinking, based on study of the tsarist archives…[Mr. McMeekin] brings some useful correctives into focus." "Using previously unknown sources from Ottoman and Russian archives, [McMeekin] denounces the notion that the Middle East as we know it today is a legacy of World War I and Anglo-French decisions in the Sykes-Picot Agreement of 1916. He argues that events far richer and more intricate caused the end of the empire…[A] valuable academic work." "Magisterial…Giving events in the Ottoman theater the same attention to detail usually reserved for the Western front, McMeekin argues that principals on all sides were stymied by myopic preconceptions as the war gained steam, with movements on the ground easily overcoming any pretense of rational planning…McMeekin’s gripping narrative style and literary panache make this work an attractive resource for anyone looking to further understand the destruction and dislocation in Asia Minor that ushered in the modern age." "Thought-provoking…McMeekin observes early on that there's much more to [the] story than the smoothly duplicitous diplomacy that makes up the last hour of Lawrence of Arabia and much more than T.E. Lawrence himself…Thriving on untold stories, McMeekin looks at the punctuated collapse of the Ottoman Empire in Eastern Europe and its momentary successes following the Bolshevik Revolution in Russia, which had the effect of exposing rivalries between the Ottomans and their German allies that almost resulted in war on yet another front. The author also gives a lucid account of the geneses of secular governments in what became Turkey and those of more theocratically or autocratically inclined ones in the neighboring former provinces…Vigorous and accessible." 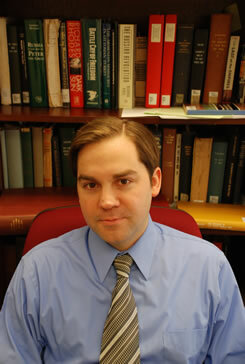 "It is an enormous story, too, and McMeekin is a worthy chronicler of it. He writes too much about 1876, and 1922 comes off too short—you want to read more about Atatürk. But The Ottoman Endgame is the most satisfactory and thought-through of the recent books on the subject that I have seen." "This readable, much-praised and opinionated work…"
"Sean McMeekin is one of the best writers on the First World War. The Ottoman Endgame is an outstanding history of the neglected eastern war. It is equally at home in the politics of the Ottoman and Rusian courts as on the intrigues of the western powers, all of whom were playing a giant game from which the Middle East emerged. " "McMeekin is at home in the archives of all major parties to the conflict and his accounts of some of the more contested episodes carry a ring of finality. The Ottoman Endgame is a marvellous exposition of the historian’s art that will frighten everyone else off the subject for years. " "A valuable, illuminating project "
"...masterful and sympathetic …superb on the doers and makers of this era..among the most even-handed and serious attempts to understand the Near East."